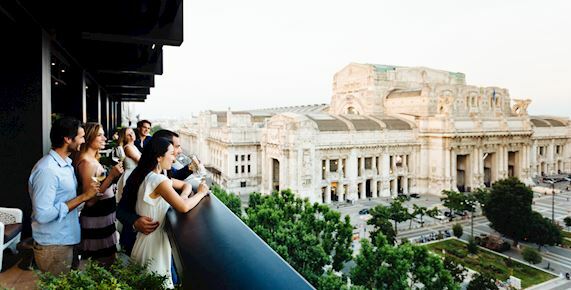 A distinctive rooftop restaurant and bar in Milan, Terrazza Gallia is a glamorous, versatile location you want to see and to be seen in with the best dedicated hotel service. 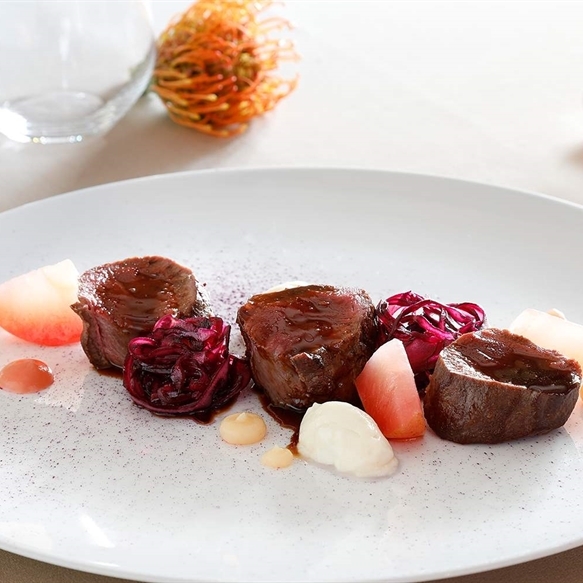 Terrazza Gallia Restaurant: to live a unique culinary experience through a menu created under the consultancy of the three Michelin Star Cerea brothers. Terrazza Gallia Rooftop Bar: to drink in style with a unique view over Milan. 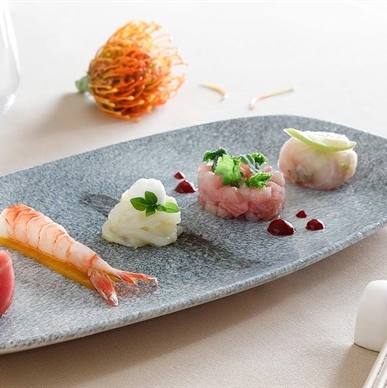 Indulge in the gastronomic offering of the finest Italian ingredients blended in contemporary and innovative presentations for a truly authentic Made in Italy experience. To set the scene for an indelible meal the indoor dining area debuts modern design boasting an open kitchen that provides an engaging peek into our chef's meticulous preparation processes. Additionally, guests can opt for the outdoor terrace, where landmark vistas provide the perfect urban setting for an al fresco meal. 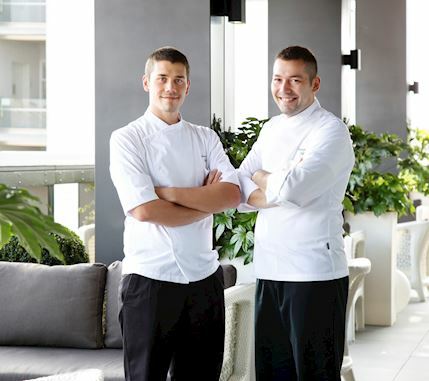 The two young chefs, full of energy, Vincenzo and Antonio Lebano, originally stem from Campania, a region which boasts one of the most famous cuisines in Italy. 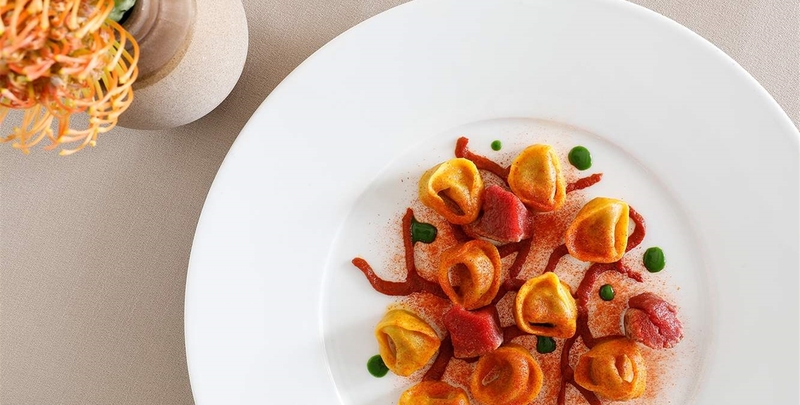 After several years of experience in the best kitchens in Italy, the two brothers now are chefs at the Terrazza Gallia Restaurant, under the consultancy of the three Michelin star Cerea family. Our aim is to make you embark on a culinary and sensory journey, deeply inspired by our origins, the Mediterranean sea and the changes of the seasons. 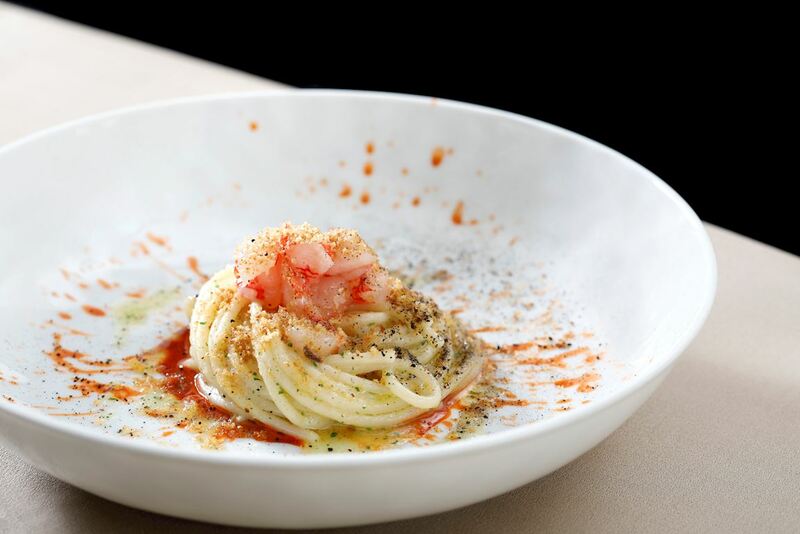 Indulge in delicious dishes in the unique atmosphere of Terrazza Gallia paired with stunning views. 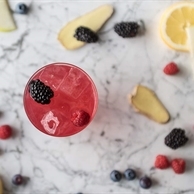 Trendy new cocktails and great classics revisited in a contemporary way. Terrazza Gallia invites you to the new appointment dedicated to the Italian tradition: THE ITALIAN SUNDAY LUNCH. 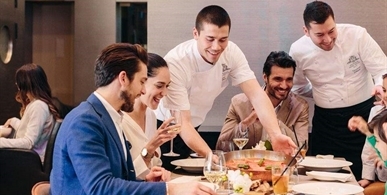 Experience the typical tastes of timeless Italian recipes in an informal and convivial atmosphere, to celebrate at its best the traditional family Sunday lunch. Price: 65 Euro per Person (Beverage Excluded). 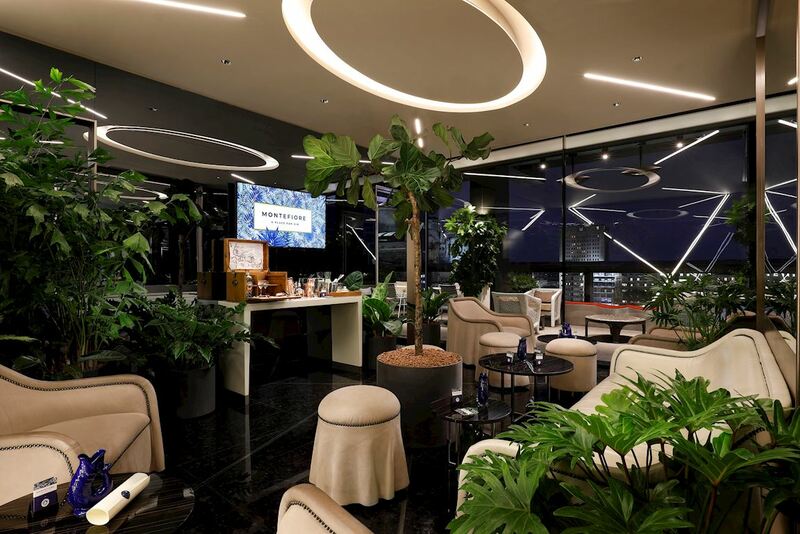 Enclosed in an intimate space surrounded by tropical plants, located in a private part of the Terrazza Gallia Bar, there is Montefiore, a place for gin. 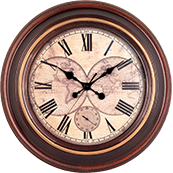 Designed and created in exclusive collaboration with Plymouth Gin and an idea by Giovanni Fiorin. 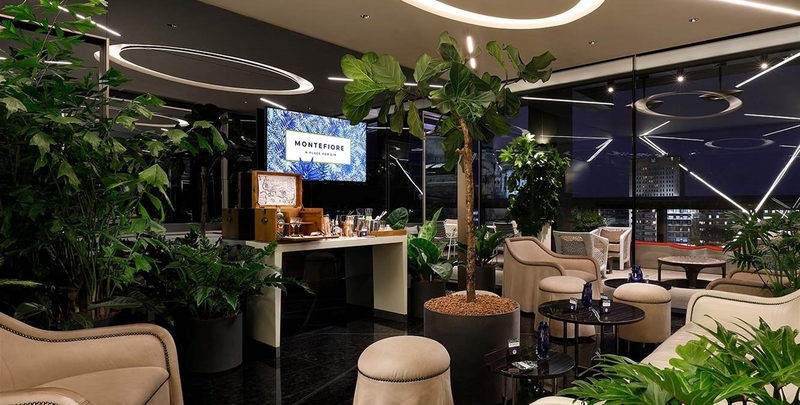 Eight selected seats, a mini-bar equipped with a gin station and a dedicated mixologist are the characteristics of Montefiore, which aims to become a reference for gin fans and not only.